The typical image that most people have about the Homeric Heroes is about well armored combatants fighting with sword and spear and some of them using bows. Yet Homer mentions other weapons such as axes and “aksines” – pick axes. In many cases people tend confuse the “aksini” with the axe but Homer makes a distinction between the two weapons. (Iliad 15, 711). Another weapon was the war club. Homer describes an iron mace. (Iliad 7, 146) Since a number of Egyptian bronze maces have survived, its logical to assume that Homer’s mace would also exist made of bronze but the iron example would arm warriors of the Geometric period. Museum exhibits also prove that the stone mace was not really abandoned and probably was the weapon of the poorer fighters. 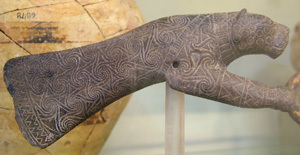 The most unusual weapon was the “aksini”. Homer says that Menelaus was attacked by such a weapon but he survived because he killed his opponent first. ( Iliad 13, 613). 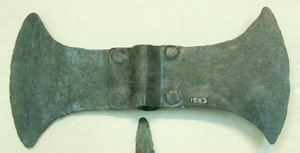 The weapon was developed from the agricultural tool pick axe. 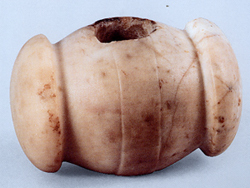 A specimen from Mycenae looks like the modern agricultural tools and it would be an improvised weapon. 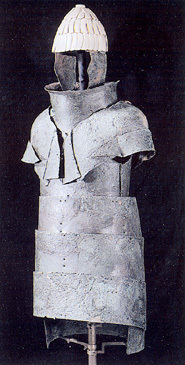 But in Kanellopoulos Museum exists a specimen dated in the 9th century B.C. It’s a heavy hammer with a long horn-like ending in one side like the medieval horseman’s pick. The weapon is clearly designed to puncture through heavy armor. 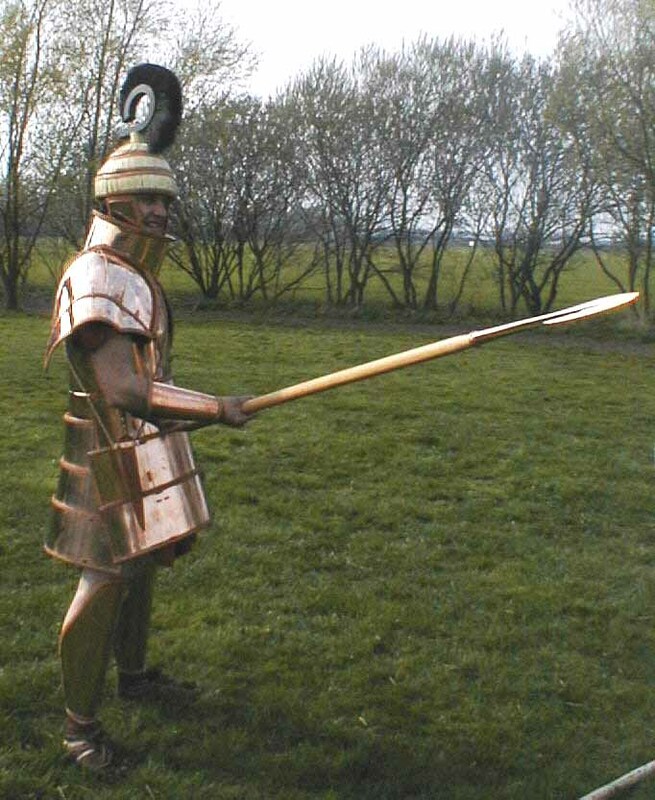 We know now that Bronze Age Greek noble warriors were heavily armored like medieval 14th/15th century knights and faced similar problems when they tried to negate their opponent’s armor. It’s not surprising that they solved the problem in similar ways, by employing weapons that had the necessary shape and mass so that they would deliver effective crushing blows like the mace or could perforate armor like the horseman’s pick. A classical example that History tends to repeat itself.